What Are Red Light Cameras? A red light camera is a kind of traffic enforcement camera that is intended to detect traffic infractions by capturing an image of a vehicle which has entered an intersection in violation of a “red” traffic signal. If, on review, a vehicle was indeed in the intersection during a red light, then a ticket is sent to the person who registered the vehicle. Red light cameras are intended to reduce the number of one of the dangerous kinds of accidents – cross-street collisions. The idea is that drivers, in hopes of avoiding a fine, will stop at red lights and thus avoid car accidents that would have occurred otherwise. 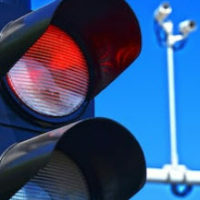 Over 1.1 million fines have been issued in response to violations since Florida first allowed the use of red light cameras in 2010 as a part of the Mark Wandall Traffic Safety Act. Do Red Light Cameras Actually Help? A report recently published by the Department of Highway Safety and Motor Vehicles indicates that officials did not find evidence that red light cameras reduce the number of accidents. Instead, it was reported that the total number of accidents at intersections with red light cameras actually increased 15.1 percent across 31 jurisdictions studied between January 2013 and April 2018, a number that increased concurrently with the number of vehicle miles traveled across Florida. Therefore, the latest statistics indicate that red light cameras have not actually offered a benefit. Perhaps it is because of these statistics that the number of red light cameras utilized in Florida has been on the decline. According to the same report, the number of red light cameras used in the state was reduced by 121 in a span of just one year between 2017 and 2018. Are Red Light Cameras Constitutional? Yes. In May 2018, the Florida Supreme Court decided on this issue in Jimenez v. State. The red light camera violator in that case did not argue that he had not run the red light, but instead took issue with the legality of the city’s red-light enforcement program. That city contracted the review of images from its camera system to a third party which decided which pictures to send to the city’s police department for the determination of whether a traffic ticket should be issued. Ultimately, the Court determined that there had not been an unconstitutional delegation of authority. In so deciding, it relied on rationale such as the fact that the police department examines the picture and concludes that probable cause exists for issuing a traffic ticket. Therefore, it is clear that the use of red light cameras is legal in Florida – regardless of whether the use of them continues to decline in the future. Have You or a Loved One Been Injured as the Result of Another Driver Running a Red Light? If you or a loved one has been the victim of a car accident as the result of another driver negligently running a red light, we can help. Contact the experienced West Palm Beach personal injury attorneys of The Pendas Law Firm today and we will help you recover the compensation you are entitled to.